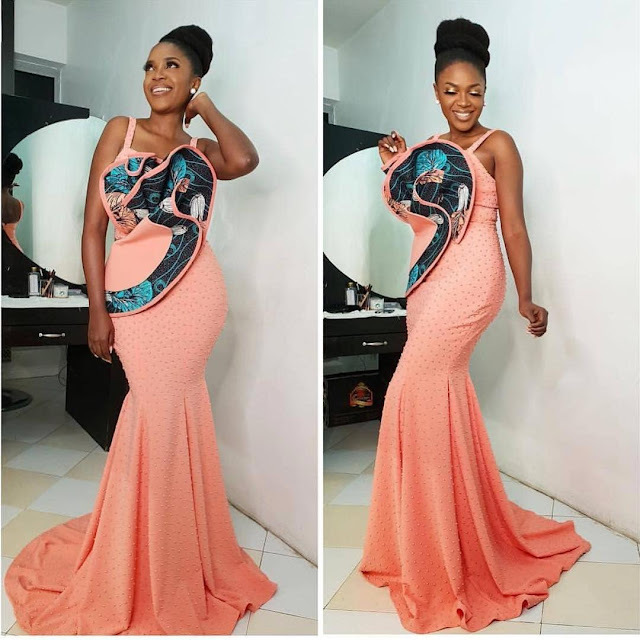 Wedding guest aso ebi styles of 2018 have never been these beautiful and stylish since the year started, these collection were hand picked to compile the best of the best aso ebi styles and designs for wedding guests, if you're a wedding guest and you're not rocking any of these beautifully made wedding guest aso ebi styles to that beautiful occassion, I think you need to up your game, aso ebi styles keeps getting classy and flashy. No wonder some wedding guest attend certain weddings only to out shine the bride. Do check out our previous wedding guest aso ebi styles. Our latest collection of Latest Wedding Guest Aso Ebi Styles of 2018, are the most stylish being rushed by fashionistas and beautiful divas who know their aso ebi onions. Fro celebrities to top fashion stylists and designers these aso ebi styles have been making us stand out at friends' weddings. You need to have a look at them wedding guest aso ebi styles of 2018.